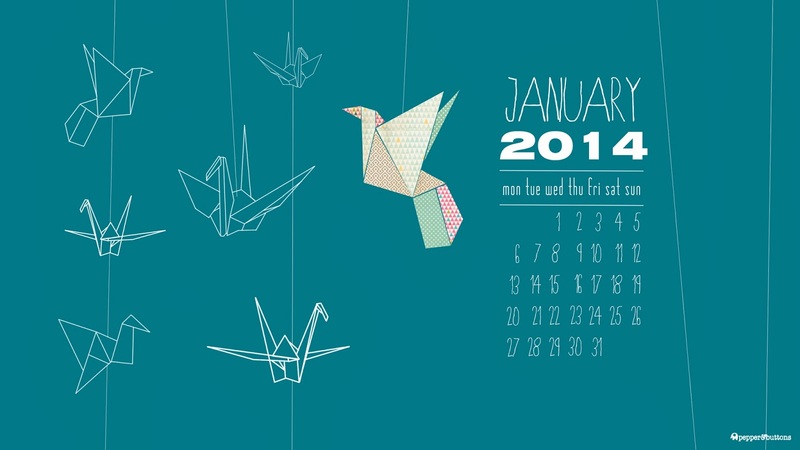 On this last day of January, 2014, I’m looking back over my first month of “firsts”, and I am so grateful! This has been the BEST January I have ever had, in my 10+ years in real estate. Business has been incredible. December and January are normally the slow months in real estate. This month behaved more like a May or June, which are peak real estate months. I believe there is a correlation between who I am being and what I am doing….and my business. At Keller Williams, we have a saying, “Your business grows to the extent that you do.” As I am opening, as my attitude about life is shifting and expanding, as I am in this space of doing new things and moving Beyond where I currently am, my business is tracking along with me. I am all smiles! January has been an amazing month in all aspects of my life. I am excited each morning to see what the day brings. Doing new things has brought magical and unexpected opportunities and life lessons. I am full of joy. And I am loving how events are arranging themselves to meet me where I am, and then moving me into unknown territory. I feel the Divine calling to me. And I am answering with all of my being. I’ve always loved anticipation. It is such a sweet state of savoring what is and what is about to be. I am in high anticipation for the remainder of 2014, and my year of firsts! I love a good whodunit! 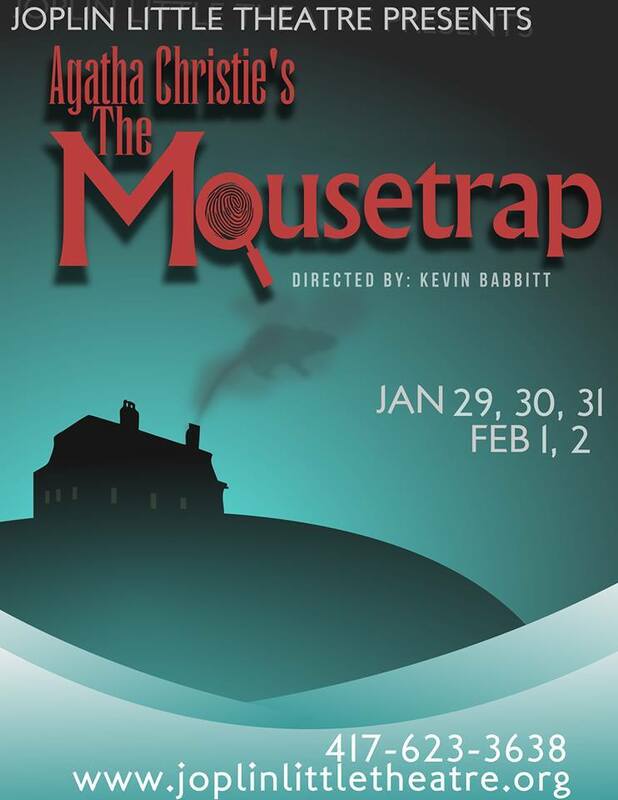 So what better way to spend the evening and get in a first too, than seeing Agatha Christie’s The Mousetrap, presented by Joplin Little Theater. Agatha Christie, considered the queen of the murder mystery, wrote this drama which was originally titled Three Blind Mice. The name was changed to The Mousetrap when it opened in London’s West End in 1952, and it has been playing ever since, making it the longest running play of any type, in modern history. I was excited to learn the play was being performed in Joplin. The cast gave an outstanding performance. The play is set in Monkswell Manor, near London and I was impressed with the actors’ abilities to pull off authentic sounding accents! During a snowstorm, guests at Monkswell Manor are stranded. There are murders to solve and a murderer to catch. The set was excellent and the characters well developed. I laughed. I clapped. Mostly, though, I sat captivated, watching and listening intently, collecting clues. That’s the real thrill of the whodunit. Is she who she says she is? Is he telling the truth? What fun to keep a mental tally of who was who and figure out, along with the audience, who did the wicked deed. This play perfected the “plot twist” with its ending, shocking attendees back in its early days of production. Audiences continue to be cautioned against giving away the ending and revealing who the killer is. Did I correctly guess the identity of the murderer? I did, although I was prepared until the very end, to be wrong. Will I reveal who did it? Never! One of the fun things about having a year of firsts, is checking out new restaurants in town. Today it was a special treat to have lunch with Greg, Elissa and Adriel at ME’s Place, located at 1201 Broadway in Joplin. The cafe’s atmosphere was casual, warm and inviting. Interesting art pieces lined the walls. Seating was cozy, inspiring conversation, and friendly staff helped us with our order and checked on us frequently as we ate. 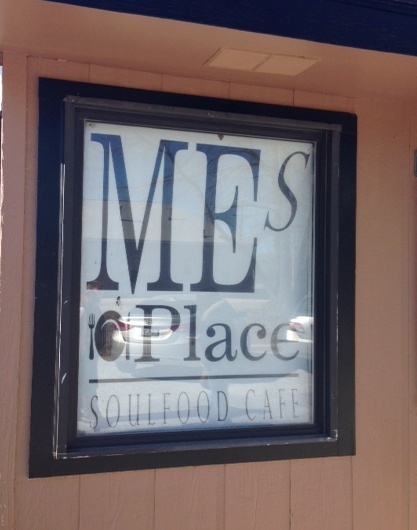 And oh my, the food… ME’s Place serves soulfood, delectable homemade entrees such as chicken and dumplings, meatloaf and fried catfish. Today’s specials included ham and beans and country ribs. There was a large assortment of sides to choose from and fresh cornbread was served up with each meal. Not only did I eat at a new restaurant for the first time, I also tried a new food. The collard greens were perfect paired with my country ribs. We completed our dining experience with gooey butter cake and fresh from the oven peach cobbler. What a delicious meal! I highly recommend ME’s Place. Their menu boasts, “Love served on a plate.” I left there full, and feeling very loved! I’m pretty good at keeping up with technology. I can get around on my laptop, as long as it’s operating smoothly! I’ve learned to upload pictures and videos, maintain a website, create Pages on Facebook, and Siri is my friend on my iPhone 5. I communicate well via voice calls, emails and texts. However, one feature I’ve never used before today, is the FaceTime function on my phone. Who better to experiment on with FaceTime than my sister, Debbie, who lives in Broken Arrow, OK. She admitted she had not used this function either. Great! A shared first is always fun. She was a good sport. Messing around with my phone, in preparation for using FaceTime this evening, I accidently called Debbie at work. I disconnected quickly but she immediately called me back and we had our first FaceTime chat. Although it was a little startling at first to see a face on my phone’s screen, talking to me, it was a great experience. We laughed a lot. I got to take a quick peek at her office. And she said “Awww” when I showed her my cat curled up on my lap. My sister and I agreed this will be a form of communication we will use again and again. If I had thought about it during the call, I’m positive I could have snapped a screen shot of Debbie’s pretty face. Then I could have used that picture with my blog instead of the logo I found online. She would have LOVED that! Next time, sis, next time. I don’t consider myself to be vain. And while I don’t go out of the house without makeup and my hair brushed, I also don’t spend a lot of time in front of the mirror, primping. So I thought this day’s first, going the whole day without looking in the mirror, would be a snap. Brushing my teeth, applying a minimal amount of makeup, fixing my hair this morning, I very deliberately avoided the mirror. This daily regime is such a habit that I found I didn’t really need the mirror. I could feel my way around my face and run a finger down the side part in my hair and be assured it was relatively straight. No one looked at me oddly once I left the house or raised an eyebrow, so I felt confident that all was well with my appearance. Every time I got in the car, though, I found myself leaning over to look into the rear view mirror, and not for the purpose of checking for cars behind me. I didn’t know I habitually did this! I didn’t catch myself trying to peek just once, I had to stop myself from looking every time I slid into the driver’s seat. I also realized today how prominent mirrors are. They lurk in every room, in expected and unexpected places. I kept my eyes averted. 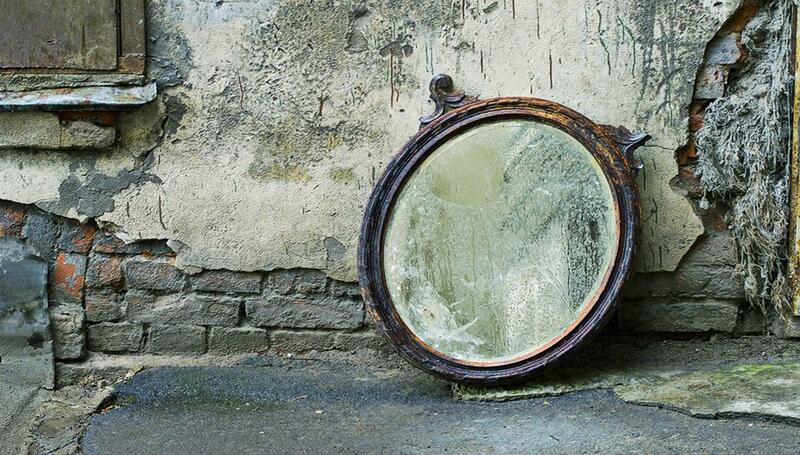 I was surprised to find that I wanted to glance into a mirror or reflective surface often. And there is nothing wrong with that. However, there was liberation that came with avoiding the mirror and joy in being okay with moving through the day, just as I was, without checking my hair or looking to see if my nose was shiny. The world around me became my mirror, reflecting back to me my state of being. If I smiled, a smile came back. If I waved, a wave was returned. Peace, silence, weariness, laughter, delight, all were reflected back, showing me who I was, in that moment. This was the best possible mirror to gaze into. Today’s first was about getting out of my rut. When I eat at a restaurant, I tend to get the same meal or treat every time. I know I like it. I don’t have to think about it. Even when I say I’m going to try something new, I end up ordering my favorite. 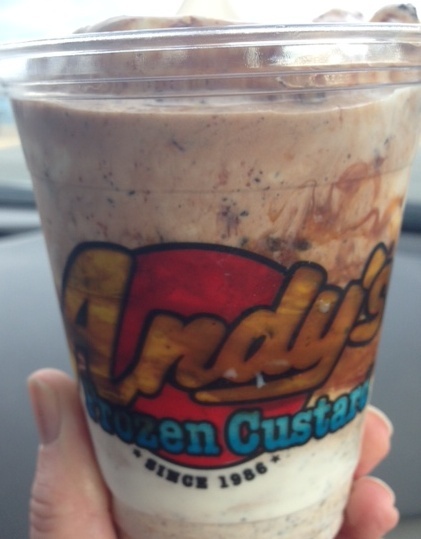 Andy’s Frozen Custard offers a special concrete flavor each month. When I allow myself a concrete from Andy’s, I always get the Butter Pecan Concrete. Every time. Today, I broke away from my usual. I had the January special, the Bootdaddy Concrete. It was a delicious mix of frozen vanilla yogurt, oreo cookies, hot fudge topping and caramel. I had a couple of yummy bites and saved the rest in the freezer. It was good. Did I miss my Butter Pecan? A little bit! 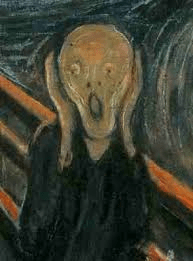 Did I get out of my rut? A little bit! It is in braving the small things that I will move on to conquer the big things, one experience at a time. Bring it on! 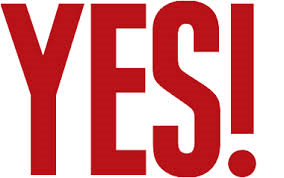 Yesterday’s “Yes Day” appeared to spill over into today. And being in a great space of giving and receiving, I let it continue, which made for a very busy day! So for today’s first I picked something fun and yet simple to do. 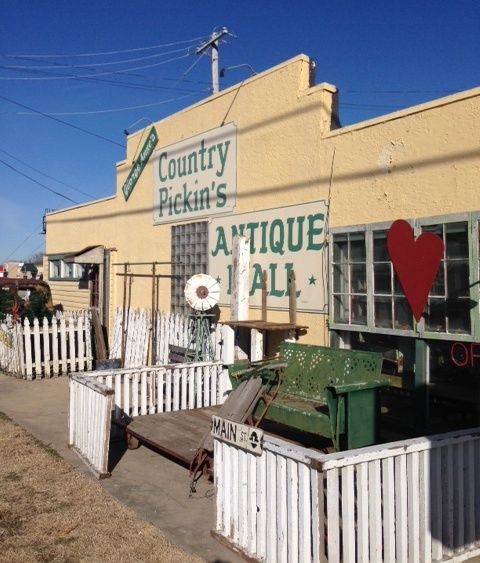 I visited the delightful Country Pickin’s Antique Mall at 5836 N Main Street in Joplin. I enjoyed browsing through this amazing place. Primitives shared space with antiques, artistic creations and interesting objects. Although it is bitterly cold outside, I am already shifting into gardening mode. I spied several items that would look great in my backyard as it is being transformed this year. My daughter, Elissa, who was with me, nabbed a couple of wire baskets that captured her attention. I am newly in love with repurposing. There is something simple and yet deeply satisfying in taking a piece that has been worn by time and usage and extending its life by finding another purpose for it. I’m excited to incorporate this look into my gardens. Rusty metals, chippy furniture, cracked statuary, and wooden objects with worn surfaces will all have a place there. It will be a peaceful, inviting, eclectic space. I was surprised to learn that Country Pickin’s Antique Mall has been in its current location for 9 years, and was on Range Line for 3 years before that. One of the joys of doing a year of firsts is discovering businesses and restaurants in my own hometown that I have somehow missed. This was my first visit to this wonderful store. It most certainly won’t be my last! In the movie, “Yes Man”, starring Jim Carrey, a man whose life is at a standstill discovers the magical power of “yes” by embracing one simple idea: say yes to everything! For my first today, I decided to be the “yes woman”. I’ve seen the above mentioned movie so it was with a bit of hesitancy that I came to this decision. As I said my first yes out loud, to the universe in general, my phone buzzed. I have sentences that pop up at random on my phone to remind me of important truths. The phrase on the screen read “I am a magnet for all kinds of deeper wonderment.” It seemed an auspicious start! It was, indeed, a day full of wonder and it became a very full day. I said yes to requests and none required me to do anything I didn’t want to do or go anywhere I didn’t want to go. It was the attitude of being open, to receiving and to granting requests, that created the greatest shift. Magical things showed up. Offers, acceptances, and contracts appeared. I received a delightful surprise phone call, was given a special price for lunch, found a lucky penny in an unusual place, laughed when a friend, who didn’t know it was a yes day for me, answered each question I asked him with “Yes!”, and my granddaughter Aubrey stopped by and gave me a drawing. Yes, yes, yes…. What I learned from today is that saying yes is as easy as saying no. And while there are certainly times to say no, there are great benefits to affirming what comes my way. Saying yes is more than agreeing to a request, it about opening up and saying yes to life…saying yes, and then getting out of my own way, and enjoying the deeper wonderment that appears. Today’s first was about exploring the road not taken. I’ve been a full time realtor for 11 years, so I’ve driven on most of the streets and roads in the Joplin area, showing property to prospective buyers. As I’ve driven, with a destination in mind, I’ve noticed roads that I’ve never wandered down. Today, I decided to take the time to see where those roads went. I had two roads in mind when I set out this morning. Both were south of Joplin in the Saginaw area. This is beautiful country, with hills and trees and streams. I love driving the winding roads there, even when the earth is gray and brown and the trees are bare. After mentally flipping a coin, I decided to explore the road that headed east off of Gateway Drive. Following the curves, enjoying the view of fields on one side of the road and woods on the other, I suddenly had a feeling about where this journey was going to end. A few minutes later I was laughing. This road joined with Saginaw Road, and looking back west, this was the second road I had wanted to explore! The two roads I had been drawn to, were actually the same road. That was a fun, and short, trip! 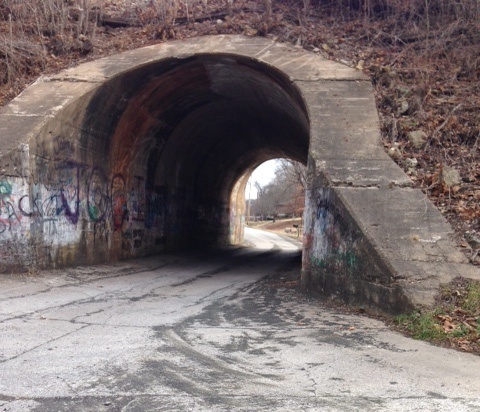 Since I was on Saginaw Road, I passed through the tunnel on the aptly named Arch Road and continued east. I’d shown houses on parts of this road but I’d never driven on to see what was at the end. As I passed a house I’d shown several times, I remembered Samwise Gangee, in the Lord of the Rings, saying if he took another step, he’d be the farthest he had ever been from home. That wasn’t exactly true for me, but it would be the farthest I’d ever been down this lane. The road wound through a narrow valley. Houses appeared in neat yards. One property caught my eye especially; a log house in the middle of a complex of red barns and buildings. In the summer, I could imagine horses galloping through the fields. I expected to reach a dead end. But as often happens in life, my journey took me through unknown lands and then came again into the familiar. I was back in a place I knew well. And I found my way home.